It needs to be more responsive. For starters, my trial of the remote features of the app lapsed and I enjoyed the convenience of being able to start my vehicle using my watch. I keep getting an error every time I try to add the feature back to my account. I don’t want to call the number listed. For starters, this is 2018. I should be able to handle the transaction at the app level and shouldn’t have to call a phone number. Secondly I don’t want to have to call the phone number because it’s an unnecessary inconvenience. I work in a mentally draining profession and am on the phone quite literally for 12 hours a day. I don’t want to have to call a phone number to try to resolve something that should be able to be handled at the app level. It was bad enough when I bought the car that the dealer rep and I had to wait 20 minutes before an OnStar rep even answered. And don’t even get me started on the My Chevy Rewards program. I understand the app developer doesn’t handle that but it’s the face of the program to the consumer so I do believe there is some small bit of accountability there. Unless the issues are resolved I may not buy GM the next time around, simply because the app is supposed to enhance the ownership experience and I haven’t felt that at all. I’m paying $15 a month for the app to sometimes work and sometimes not. I love this app, among other reasons. especially when needing to start truck or to verify if I locked the doors. Ever since we had to switch to the MyChevy App our vehicles NEVER start!!!! This is Ridiculous!! We live in ND and it’s -40 with windchill right now!!! Get it Fixed! Very easy to use and it works. I absolutely love this app. It allows me to “hide” my keys so I don’t have to carry them with me. The tire pressure is awesome. This app is something I couldn’t live without. Why can’t you seem to get this app to work reliably?!! Almost every time I use it, seems it fails and I need to”try again” or call customer support?!! Just have us call customer support and cut out the middle man!!!? Chevy please make this more responsive and user friendly! The app is totally unresponsive and unreliable most of the time. All of the buttons and functions are totally unresponsive. I’ve uninstalled and reinstalled the app many times. Also, Chevy, please make it so that we can start and unlock our vehicles from the Control Center on our iPhones, or some sort of shortcut. We don’t need launch codes to authorize these functions. It’s not that big of a deal. So, please, omit the “passcode” step. Nobody cares. Other than that, this is state-of-the-art. This app is awesome, like the fact I can start my truck from the office and it be warm by the time I get out to it in the winter. I also like that all my info on the vehicle is at a finger touch. This is one of the most useful apps I have! There are many times when the key fob is just to far to work. It’s simple to use and convenient. Thanks for a great app!!! I like the app but the vehicle location did give great info including the location address but someone in their great wisdom decided to change it & now you have to try to figure out where the streets are located. Not a good move. I use the MyChevrolet app with our Bolt EV. Useful app, reasonably well designed, but functionally... buggy. For example, when charging EV with type 1 (slow) charge, it will estimate the time that charge is estimated to complete... but NOT the day! (It might show charge complete at 8 pm, but fails to note it’s 8 pm TOMORROW! Also often indicates state of charge as ‘FULL’ when in fact it isn’t anywhere near full. App can also respond very slowly. We keep hoping that each new update will address these issues... but after four years, same issues persist. Will continue using and hope GM eventually gets it right. 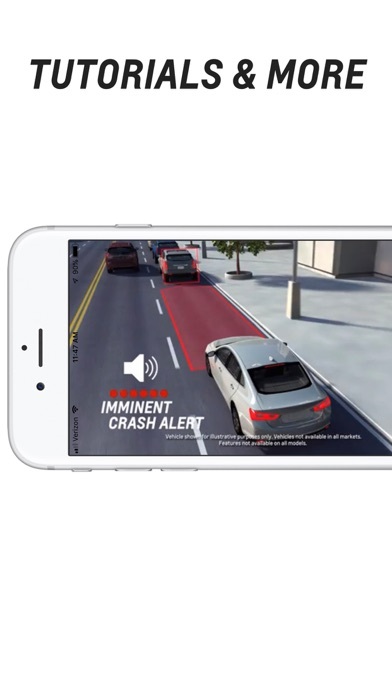 To be a great app, OnStar needs the ability to control the vehicle climate systems. If I last used my car yesterday in the heat, my A/C is still on. You think I want it blasting cold while it’s “warming up” in the morning? It would be nice if you could be fully functional in the app for putting in your initial set up codes instead of having to do that work on a website and then waiting for the app to update There shouldn’t be anything you have to leave an app for. Other than a clumsy initial set up process, the app is good. Very helpful app, especially in the cold winter and hot summer, you start your engine ahead of time. They took all the best features away, like the key fob that that’s you start your car!! Sometimes it follows commands, ie remote start, other times not. Sure wish it was more reliable. One of most favorite tools is the ability to unlock doors from my phone. I use it all the time. The best thing about this app is the ability to remote start the engine without having to get within line of sight or close enough for the key fob to work. A second nice feature is the ability to look up an address and send directions directly to the in dash navigation. Keypads doesn't work and most of the time data about the car is slow to load or never does. This is one of the best and convenient services I’ve ever experienced. It has saved me quite a bit of money on lock outs. I use the app on both my iPhone and my iPhone watch. I use it daily to start my car especially in winter months. Or just to get a jump on opening the door before I get to it. The service is free and comes with a monthly diagnostic. I absolutely love it and highly recommend it. I love the app so keep it up. However, on my apple watch series 4 the remote starts to work then abruptly stops, i have to request a remote start or unlock up to 3 times for it to complete the request, works fine on my phone. Is there a software issue with the watch app? This app helps manage my car. The ability to check tire pressure, gas left in the tank, etc make it easy. This App is no different from the OnStar App! Same interface just a different picture on the actual App! I love the convenience of it! This has been far the most amazing experience I have ever had. Outstanding feature from GM. Keep up the good work!!! I love this app. It’s perfect for really cold and snowy mornings because I can start my car from my bed and then get up and get ready for work. Great as a free app! Now that GM or Chevy or OnStar has cast its greedy corporate shadow over the app, and it’s no longer free for the 5 yrs...like it’s free on my ‘16 Cruze, but my ‘18 Tahoe that costs 3x as much it isn’t free, and my ‘18 Silverado which cost three times as much it isn’t free. Just a 30 day trial then PAY UP! I’ll use it while it’s free and never pay for it. The last status I have on my car is over a month old. When I try to update status I get an error code 216. I can no longer check fuel level, tire pressure, oil life. I placed numerous calls and was told issue would be escalated and to wait for a call back. No call received. I can locate car, but new app no longer gives address location, just a map view. The app worked great until an update about a month ago. Please investigate. Any news on Siri integration? It used to send u to maps so u could locate the car better and now that they updated the app you can’t. I dislike this put it back the way it was!! I love this my chevy app! It’s the best thing to come out since the internet!!! I love the security and not having to freeze to start my truck. Preferred the previous vehicle location services. It gave more details on location, including address. Don’t like the revision. Absolutely love this app. For someone who’s too far to remote start, having the ability to start/stop my engine from anywhere is great. I absolutely love that it gives you details about your driving and tips to get better. But also how your car is doing. My cars dash doesn’t tell me my tires low, but the app lets me know anytime one seems odd, or when it recommends certain common services (oil change, tire rotation). Definitely recommend this app to any 18-30 year old who’s not great with cars! I wish they can incorporate it with samsung gear and apple watch. App works great from my phone. Can't get it to work with my watch unless I unlock my phone. I even have the PIN stored in my watch. I love that I can start my car from any distance basically and that I can lock it too. Sometimes I forget to lock it or I just don’t remember and the app allows me to do it from anywhere. Also the additional features like checking the tires and how many miles of gas I have is pretty cool, specially for women, we’re not so cautious about those things, we have other priorities, at least I have. Only complaint I have is that it doesn’t work every time I try to use it. But I just restart the app and it works. Evry day this app spoils my experience of using the great car. How is it possible this app has rating 4.8 ? I give only one star no more. It's sooo slow and freezes all the time. Errors occur regularly. Do not update data till manual refresh. Data refresh is very slow. Services are very expansive. If it's not anough - it shows an advertising in the middle of the sreen. If I hade any other option I would not use it. I just have to use it becase no other alternative provided. He is a very informative person to listen to. Very knowledgeable on the vehicle we purchased from Rydell Chevrolet. Thank you. Great app but would be nice if option to flash lights without the horn. All the features are awesome on this app. 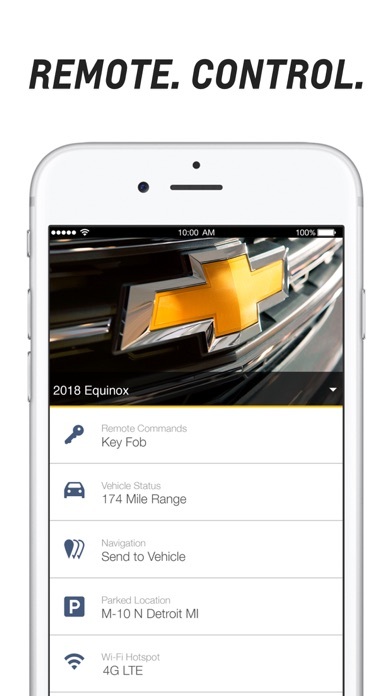 Literally everything you need to know about your Chevy at your fingertips whenever, wherever. Only downside is the response time when using the key fob commands. I can be standing directly beside it or 100 miles away and it takes the same ~2 minutes. I know it’s only 2 mins, but you would think when you clicked unlock/lock it would be instant or within a few seconds. I don’t like the fact that when I track the vehicle it no longer shows the exact address it just shows the vehicle on the map!! I really loved the app before, but I am thinking about getting rid of it. Since I bought this car, 10/31/18, I’ve not had good service on ON STAR! The sound goes so low I can’t hear it and the radio stays on. It’s difficult to find directions. I love this app ,Being able to leave your car running to go in the store and use the app to lock the doors and control the car is awesome !!! Almost daily, when using the app to see tire status, or location status...or how much gas is in the tank, I will get a message saying g something along the lines of the app isn’t responding. It happens every single day. And this new update is horrible. In addition to the constant error messages, app freezes and/or takes forever to use. I don’t like the new vehicle location either. It used to give you an address and now it doesn’t. Very disappointing and not helpful. I love the convenience of my Chevy app. An error comes up often about after 2 starts with the app I have to start with the key. I’ve called onstar several times regarding this and they all give a different answer 2 times in one day then with the key. 2 times in a row then with a key start. I have started my car 30 times in a row with the app and no problems and then I get an error. I start it 3 times and get an error. No consistency!! I had to uninstall the app and redownload the app to get the smart drive to work. I am not impressed with this app!!! For the price you should be able to start as many times as you wish. Yes I’ve heard for security reasons but when I start it twice a day for a month with no problems that’s not very secure! This app was great until they removed the remote start feature. That was 90% of my usage for this app. Now it really serves no purpose. Screen responsiveness lags on the make-specific app. The OnStar app worked flawlessly. It is a pitty that GM made me switch. most options are controlled by Onstar, so it’s really THEIR app. I love being able to lock and unlock from the phone (that saved me once when my keys got locked in) and the flashing lights helped once when the car was lost at Dodger Stadium. The precondition is cool too. I’d give it 5 stars if I could control all the features just by owning a Chevy, but still useful. Love this app. Chevy hit a homerun with onstar. Only wish is dropping the cost for the different services. Haven’t had the first problem with the car. Just turned 31,000 miles today. When I first got my 2017 Silverado, this app was one of my favorite features - love the ability to start the engine remotely (to either warm up the interior and defrost the windshield during the winter or cool it down during the summer). Also nice that you can access a digital version of the vehicle manual through the app. Some of the other vehicle status stuff was marginal - if I’m not in the truck, I don’t have much need to know what the tire pressure is or what the remaining fuel range is, plus that info doesn’t update automatically so it can be a bit misleading at times. Now here’s the problem - after one of the recent updates, the app will not work reliably the first time I run it on my iPhone 6. It either crashes or freezes, at which point I need to reset it and start over. It usually works the second time, but even then it does so slowly and without much visual feedback that what input you provide is being received and processed - no click sound or color change on the icons that give you feedback that you’ve actually tapped on something. So you’ll tap on the screen, a few seconds will go by and you’ll begin to doubt that the app is working at all, you’ll tap it a few more times, and then all of a sudden the display will catch up and you’ll have to figure out what in the world just happened. Is my truck now sitting unlocked in a parking garage? Is it running? It technically works, but it’s obnoxious, and truthfully, probably not worth the $9/mo promotional rate I’m paying for it (thru onstar). It’s cool that I can start my car but I wish that I could preset what I wanted the air flow to be like and then when I use the remote it will use my settings to cool or heat the car. Right now it will get the motor hit but in summer it doesn’t help much. The app takes way too long to respond. Otherwise, it would be great. Super quick. Fun to drive. Massive range. Beautiful color. I like that I sit up higher, like on a crossover suv. Regen braking is incredibly effective. One pedal driving mode works great. Not a luxury car. If you want interior niceties, go elsewhere. But lots of room inside. Great visibility. Fantastic instrumentation. Seats are comfortable for me but have heard others do not like them. This app is awesome. It starts and unlocks my truck with no problems. We also have a Lexus that has an app. That is able to do the same commands but the Chevy app is way better. I can’t believe for a luxury car that Chevy’s app is better. I really don’t need the app reminding me to start my car only when it’s safe. Plus if it lets me stay logged in, why do I have to use my passcode every time?!? I use this app to turn on and off my Chevy Sonic 2017, I live in Washington DC and is cold here, so from my window I turn on the car and I schedule to automatically the heat turns on, so when I come outside and get inside the car, it’s already hot, what I loved! Also I can GPS my car when I let my car to somebody, check their speed and look where is my car on real time in the GPS !! I have a Volt and status of the battery and charging is important. This app gives me the info and remote starting/charging that I need. Well done. That Chevrolet app is poppin. Great app. I use it all the time to remote start my truck when I’m a 10 minute walk away at work. Always get in a cool/warm truck depending on the weather. App crashes and shuts down within seconds of it opening. HELP!!! We need a fix!!!! It’s a nice app. Get it. Newest update made the app super slow and unresponsive. I have 3 vehicles with paid onstar service and using the app now is super difficult. For some reason mine does not work correctly if at all on the location of my vehicle. Not sure why but it went from showing the car was leaving home every text to nothing. And I pay for it. Go figure guess I need to go back to dealer again on this issue. Every time I go to use the app it shuts down. I have reinstalled it twice each time it worked for the first time and then after that always shut down. There is always something wrong with some of the apps features! Can’t log in, can’t use rewards, can’t get the discounts for purchasing accessories. When you call and complain to an agent they act like they are lost and don’t know what’s going on. Very disappointed! Please fix ASAP! 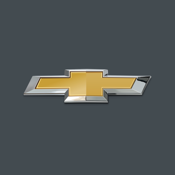 Your app is great we have chevy vehicles and it’s so nice to be able to see them all on one easy to use app. Has some connection issues from time to time, when it’s verifying ownership. I can’t even use the app As it keeps crashing every time I access my vehicle! Fix it freezing and and some features other apps have! This app saved my a few weeks ago from freezing when I accidentally locked myself outdo my house. I was able to open car with app and sat in my car till someone came. I was able to start car two to maintain some heat. First off, I’m not the one to usually write reviews however this app rocks!!! Like most apps,from time to time it will have some glitches but overall it’s a pretty awesome app. I highly suggest you download it if you own a Chevy! It’s super cool that they make an Apple Watch app for this, but it only works half the time. Otherwise it’s awesome that I can start and unlock my vehicle with my phone. It’s very helpful because I can leave my wallet and keys in the vehicle when I go to the gym to work out. Would give five starsIf the Apple Watch app worked perfectly. I installed and set up an account last night for the OnStar remote so I can remote unlock , lock, diagnostics, and more from my phone and the app won’t recognize my account plan or connect to my car at all, tried uninstalling and reinstalling app and logging out and in many times and called OnStar. Still. Nothing and I’m going to be billed after the trial. Three months from now but they don’t get my money unless it works obviously. Not being fussy but just putting this out there that it’s glitchy and and I’m rather bummed out because I love this kind of stuff. I hope it gets fixed soon. Please sort out the missing link and bug. Do not like the update took away the parked location feature! Now when you locate vehicle it doesn’t show an address just a map with the Vicinity of where the cars is! Not a fan!!!! This app is not working on the iPhone 8 Plus with the new update. Time to locate vehicle is slower than previous version. The address of the vehicle is not displayed and you can’t send the location to google maps. Terrible. Remote key fob is part of OnStar subscription or $15 per month!!! Remote features in the App is very slow and unstable, but I can tolerate this fact if it is part of FREE(really? I just bought cat for few thousands of dollars!) my chevy app, like it used to be. But now they will ask you to pay for insane expensive on star package or $15 per month just for key fob feature and vehicle location. Hey, look on tesla, ok not tesla, Ford! - they have this service included in car purchase. The app works well to do thing like unlock doors and start the car on both the phone and Apple Watch. The developers need to get rid of the constant “perform this action only when it is safe” warning that pops up before doing anything. If this warning was taken away I’d be really happy. App is pure garbage...Purchase a non GM vehicle. Was using the onstar app until I got a message that said it was no longer going to be supported and I needed to use the my Chevy app. Downloaded used once and now as soon as I log on it brings the screen up and closes out of the app. Tried deleting the app and doing a reinstall with the same results. App works pretty good. I just wish it would let you control the climate controls. Only works half the time. No address of where vehicle is? When I first got this app it showed location on a map AND an address. Now it only shows map and a feature which simply shares the map not the address of the location. Don’t like this change. Not only has this Chevy truck has been a very important part of our family, but it’s been the best investment I have ever made. It has been there for me and my family in the times we’ve needed it the most.Thank you GM. Auto start is amazing on cold days! This is a great option especially for ppl in the northern area its really cold this time of year!!!! Worthless app. Cannot get status or control with car. Just a lot of worthless stuff. Why did OnStar tank the good app?? onstar greatest thing since sliced bread. id rate it Right up there with the Edible ice cream cone! wish i thought of it! This app was great until the most recent update. It still works, but it’s sluggish. When I click on the “key fob” button it takes 5-10 seconds to respond, if it responds at all. Usually I have to click it several times. Pretty disappointed. Technology at the tip of your fingers is something! The smartphone starter is so awesome! I don’t have to dig any keys out! Helps too on cold mornings! Thank you! The fact that I can turn my car without even going outside in this cold weather. Reminds me where I parked. 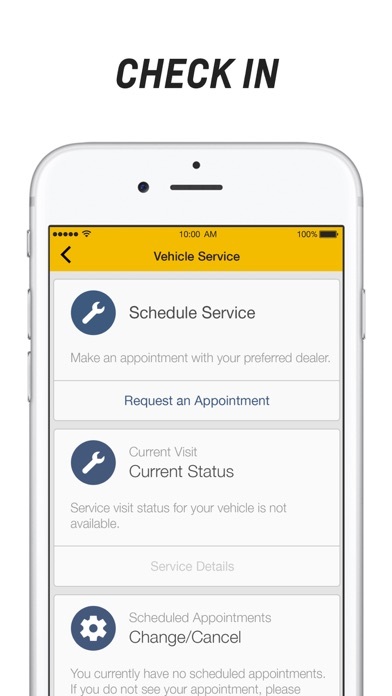 Easy way to make appointments without having to call the dealership. Great to have, when it works. 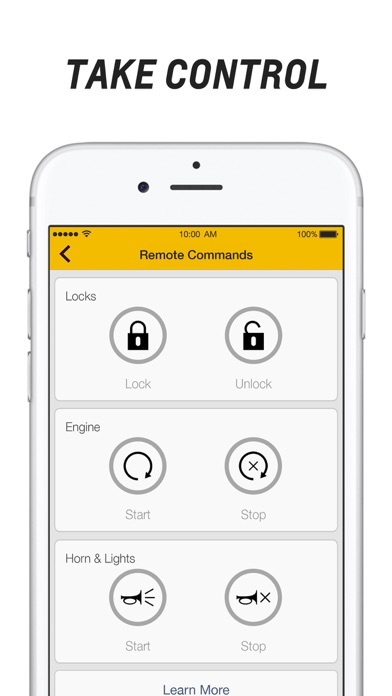 I use this app a lot to remote start my car and locking/unlocking. I could comfortably leave my car running and lock my doors while I run in the convenience store really quick. It would be very nice if you were able to set the climate controls through the app. I’ve used the OnStar app for eight years, along with three concurrent subscriptions. The message is vague, but are Chevy owners now supposed to switch to MyChevy? I tried to open an account using my OnStar info, then new info. I simply cannot open or access my account or information. I’ve tried everything. Big waste of time. I’ll just use the Blue Button and let the reps help me, even if it’s a minor question that could be answered on one of these apps. Nice to have when you can’t find your keys to warm up the truck/car on a cold morning. Love it. Better than Ford Pass for our Expedition. I would like to see a moving map so I can track vehicle position and see where it goes when others are driving it. Ford Pass has this function. So does Automatic, an add in plug it to the data port we use on our Toyota RAV 4 to keep an eye on the babysitter. It also has diagnostics. Average speed, hard braking, fuel mileage, and other data. Chevy needs a dashboard that shows information and data integrated from the cloud, Mobil and embedded layers. The App used to have a setting where you could select either 8 amp or 12 amp charging. I love this app. It is very convenient and very helpful since I street park in Manhattan. I would give it 5 stars if it refreshed properly. Most of the time it tells me there is a server issue. I’ve had my my Chevy App for some time now. I love the conveniences to check up on your driving habits safety remote start gas check etc. Very convenient. I love it! The app is a little slow and sluggish when using but other than that it does its job starting my truck. I typically use this app to start my car since there is no distance limit which is really nice. However, this app would be even better if I could schedule my car to start at a certain time everyday. Regardless, great feature to my car thanks! I love it very convenient and user friendly. Thank you Chevy app team. My Chevrolet support was fantastic. Chevy you’ve outdone yourself, don’t know where I would be without this app. This app is Slow booting and struggles when on WiFi. It often will not work if your phone is hooked up to a Wi-Fi network. Other times it is very quick to unlock your vehicle or whatever function you gave it and sometimes it just plain fails and cannot perform the directed function. It is not reliable. The speed on communication to the car could be a lot faster. The functions are great and a satisfied customer. This is the first of many GM products I will be purchasing. When purchasing the vehicle, the salesperson did not elaborate that most of the features were contingent on having an active OnStar plan. If you don’t have a plan, the app is nit very helpful. Also the app is extremely slow to respond and is very glitchy. For example, after the app opens it looks like everything has loaded, you then try to select an option, and it reloads again. Best thing for vehicles. I use it daily. The app offers so many things and is incredibly efficient-when it works. The most valuable part of the app to me is the key fob because I like to start my car every morning. Half of the time it fails with an error and I try everything to get it to work, from checking to make sure the app is up to date to uninstalling and reinstalling. I use the app’s remote start versus my actual key because my parking lot is too far out of range for the key to reach. I would say this is a great application it works 98% of time and I would say use it as much as you can for the winter. Call in many time for tech support get same run around on a fix. My Chevy app stop working about a year into the agreement . I love that I can lock, unlock, and start your vehicle all from this app. Love it! This app is super convenient. I keep my key fob zipped away in my purse so I don’t lose it so being able to pull out my phone and start my car on a cold morning (especially with a baby) is amazing. App is great, and always works. Awesome for cold days. Makes my Chevrolet personal and fun can turn on my truck from my phone anywhere and warm it up awesome. This is the best thing ever. I can start my car from anywhere and when I get into my car it is nice and warm. The app is sporadic there are times I have to touch it 6-7 times to get it to start. I love this app I use it all the time! I’m am very unhappy to hear that you are going to start charging for it though! Maybe a small charge would be ok, but $15 a month is terrible! Simple, easy to use- It’s fast ! App is very slow and recently, the time and status of the key pad has stopped showing. This means I can’t see if my car started or not. This app literally saves me so much hassle! I lost my key and my spare doesn’t work with my remote start. And to replace my key and have it programmed would cost $300+. This app saves me all that drama of being broke! I’m convinced; electric is the future of personal transportation. The Bolt is the car that will be Chevrolet’s lead in the EV transformation. Our Bolt has been everything we expected and more; economical, CO2-less, dependable, convenient, quiet, comfortable, safe, technologically advanced and more; unexpectedly powerful and, for its platform, surprisingly spacious. We drive 50 miles a day on average in our metropolitan commuting. Although we purchased the Level 3 option, we’ve only had to use it once. We’ve only used the Level 2 a hand full of times. Normally, we use the Level 1 set at 12 amps. It recharges the daily usage over night; no more gas station stops. Repowering from our stored electricity surplus from our 9.9 kWh solar system, we have virtually eliminated our CO2 footprint. As an interesting historical connection, I own a Chevrolet that was used as the original electric prototype for Chevy; the Chevrolet Corvair. Chevy used a ‘66 four door fitted with lead acid batteries, called the Electrovair II. Mine is a ‘65 four door. Also, Corvair, like the Bolt, was named Motortrend car of the year in the first year of introduction. We will look to Chevrolet first for our next EV purchase. Hopefully the electric SUV or Pickup is just around the corner. I love energy assist and trip planning part of the app but it schedules fast charging stops and charge times for which my vehicle is not equipped. You think it would know that. Also I always have to manually update its location. Even after a refresh. Another thing it should know. Overall though its a handy app for preconditioning the car and many other useful features. I love being able to start my car from anywhere when it’s cool. Just wish it ran longer than 10 min sometimes. It’s the best app I have....YAY GM! Love the remote start on cold mornings! I love being able to start my truck from 1 mile to 100 miles away from my truck. I have used it many times from 5-10 miles away just to get into a nice warm truck. Which is needed in the state of Minnesota. My Chevrolet, makes it easy to monitor my Vehicles maintenance. Since I do my own oil and filter changes. I’ve read all the rules concerning self service maintenance. I’m familiarized myself with which oil brand that GM recognizes as DEXOS 1 approved. I’m 65 and been doing minor maintenance to all my vehicles since 1969. If there is something out of my skill level, I will make an appointment with my local Chevy Service Center. The Wi-Fi department should be 24 hours. It is used 24 hours by customers so help should be available the same time period. I know it’s not under your control, but Att. Can it be switch to Verizon? I was on the train going to NYC and locked my vehicle in New Haven from Stamford Ct. love it. I would like to be able to turn on steering wheel heater and seat heaters as well. App is good and relatively easy to use. Surprised the app does not import calendar event addresses nor save previous address information or designate a “home” or “work” address on the app.. With the iPhone, only external map option is Apple Maps. Unable to launch other map applications. The app is great...when it wants to actually work..
Amazingly convenient. I love it. I start my car to warm it up. Not to have it shut off after only 10min. So i do it again. And that’s only 10 more. Sometimes the ice is really thick and I need more time. Works awesome. We love it especially in the cold weather. Lag time is a bit annoying. Internet speed and service is a factor. But hey beats the alternatives. Would like to be able to adjust inside temp, and turn on heated seats maybe next year! I love the app. The only reason I gave it 4 stars, is because I wish I could schedule the remote start for weekdays. Other then that I’ve used every part of the app from schedule service, remote start, locating my vehicle, to marking where I parked. It’s very functional. I like the functionality of the app, but I hate seeing ads on an app for a service that I pay for. Good app takes a few seconds to refresh. Im hoping precondition continues without Onstar. Would be nice to see Kwh charge rate. I absolutely love this app!!!! Best thing ever, especially in the winter! After verifying my account, I tried to log in through the app multiple times for multiple weeks and it wouldn’t let me. Tried multiple times to deleted and reinstalled the app and it still didn’t work. Can't even get into the app to see what's its even capable of. Great App! Use it all the time! I’m constantly forgetting if I locked my truck. It’s so nice to be able to just lock it from anywhere. It’s also great for remote starting on cold mornings. I work at a huge UPS facility in KY where once I park my car, I have to endure a 20 minute shuttle ride to my office. Same thing when the whistle blows at end of the night. At least with this app, I have a toasty vehicle waiting on me. I love using this app with my Apple Watch and it adds a ton of convenience to starting and unlocking my car. I believe that if Siri shortcuts were added to the app it could be a huge feature. Could we see this added in the future? This is the best app ever. My son used my truck to go back to college and I was able to start the truck from four hours away so he could have a warm ride to school. I absolutely hate the latest update. The old vehicle location used to show the address and worked much faster, not to mention you could send the location to maps and add a note or timer in case you’re parked at a meter . I don’t know why it was played around with if it was a million times better before. Whoever was in charge of programming and testing the updated vehicle location part of the app should be flogged. It doesn’t let you take the location to males and now it doesn’t even tell you its thinking. Just a mess. What was wrong with it before? This app sustained by high school students? I can’t tell you how many times this saved my life!! Vehicle location is now complicated it doesn’t show the location until you zoom in & doesn’t give you the exact address vehicle is parked anymore. Have noticed that the app freezes and glitches. Taping in the key fob section most times you have to press on the tabs several times before the app takes what you want it to do. App loads slowly. Taking longer to locate vehicle for remote start. Unlock and lock. App most times doesn’t keep up when using figure print. That you have to enter your pin. With the upmost respect app needs help! I loved the app before the update but now it takes forever to remote start my car. It is so nice to be able to lock and unlock from anywhere and starting the truck from anywhere. Well I can not say enough about that!!!!! I love it bc I can get out my car and lock the doors from my phone. It’s great. I work at night and it helps to be able to start my car from the opposite side of the building! And sometimes I’ve forgotten where I parked and this app help. This App is doing its job! Registered and confirmed my log in but still couldn't log in, finally just deleted the app because it wouldn’t work. What’s the point in having an app that don’t work. Love my truck but no one can seem to fix the front sensor issue. Beeps all the tine when it gets wet. Very annoying to spend 50k. And have to deal with that. Also seems to have a transmission issue. Key fiber is the next best thing forever or you go out to an already warm car it’s really nice to get your car started and going before you leave in the morning or in the evening at work I love it. I really enjoy it. Thank you Chevy it has been wonderful! I love the key fob and the other features. I can start my car remotely and I can see which tire need air and more. The customer service is amazing they are always kind and courteous again thank you Chevy!! Using this app has changed the way I manage my vehicle ... Thanks Chevy, it’s been a game changer! Me encanta esta aplicación. Por que nunca cargo mis llaves. Siempre funciona bien. The Chevy app is great to use when starting my car from inside any building. How ever, failed when used to make appointment at dealership. Very very user friendly and simple to use. Like and share this post as if you’re on YouTube... oh wait, I mean... great app. This app is awesome and definitely makes the OnStar subscription worth it. Easy to use and convenient for all applications. Never a cold seat or a low tire to make me late for work. Chevy nailed it with this one. Love the remote start feature! Onstar tried to make us pay until we found this gem of an app! Since the change to the new app. If it has the adds displayed. It doesn’t work well. Really worked great before the adds. Constant problems connecting. Pretty useless. Got rid of it. Then the developer suggested I delete and reinstall - now it seems to work. But the functionality is modest. I primarily use it to check on the charging status on my Volt. This app is good the idea of it genius but it’s slow don’t operate quickly takes for ever to work and sometimes won’t work the old on star services app was so fast it worked when you wanted it to this one not so much it needs a lot of work don’t on it to improve the bugs and speed of the app as a whole. Latest version now has ads in the app. Unbelievable!! As if paying for the expensive (and pretty unnecessary) OnStar was not enough now they put ads in the app that we use to interface with the OnStar vehicle services. The nerve! app is the best. Specially when you have kids and it’s cold out and have to start the car. Specially if you lock your keys in the car. It has so many features location feature etc. Just so many! Good so far trying to get start buttons to be added. Only lock and unlock, lights and alarm as of now. After the latest update, it does not refresh the the most recent information. Just keeps saying there is an error that it could not connect to the server. PLEASE UPDATE AND FIX IMMEDIATELY!! It was a great app till this last update. I enjoy having the luxury of starting my truck where ever I may be. However, I live in Alaska and a 10 minute window (x2) just isn’t quite enough time in my mind to warm up my truck, thaw windows or be warm enough. Chevy Volt Preheating is a big deal. The app works wonders and there is nothing better than getting into a warm car with a warm wheel to boot. Yes, it’s already cold here. Battery drain would be 1/10, if not plugged in. Pre-cooling is a very nice feature. Checking charge level is important. Nothing worse than forgetting to plug in, but being able to check the status saves a walk. Unlocked the car remotely once. That was pretty cool. Tire pressure, oil life are good to check remotely. It’s winter now and the app is even more valuable! Works about 90% of the time. Just extremely slow. I love the remote starter! This app is great, especially for winter weather around WV. Get the truck nice and warm before leaving. However, the app seems to freeze and or not work properly at least once a day. I always close it out after use so it’s fresh each time, but it seems to have a glitch somewhere. The app usually works but it really is slow. And seriously would it hurt to have Siri integration? How do get the remote command???? Like it show on here???? When I download it, I don’t see anywhere on the app. What happened to the app??? The remote entry and remote start functions are no longer available why????? It's so nice that I am able to start my car from my phone and don't have to search for my keys. I like the remote app which allows me to start my car, lock and unlock my car and have the lights and horn to activate. This is very helpful to me. Sometimes it works, sometimes it doesn’t. Several times it’s said the car has started and it hasn't. I love this app! I use it to start my car from my desk so it’s nice and warm by the time I get outside. I would love it if you added support for Siri shortcuts to be able to trigger engine start/stop, lock/unlock, etc. this would be a great addition!! I have bought many Chevrolet vehicles, I have used the my Chevrolet app for years hseveral yeas have always had full access with the app! I totaled a 2018 Tahoe and I am now driving a 2018 Silverado and we have onstar services when I added the service I was told I would now have the services On the app that I had on my Tahoe! Not the case at all! Now you want an additional 14.99 a month to have the services! As much as I liked being able to start my car on a bitter cold day. It is not worth an additional 15.00 dollars a month on top of what I am already paying! I do feel like I was lied to from the beginning! When I asked about the app I was told it would start working after 24 hours! Still did not work. When I called Onstar again they acted like this had nothing to with Onstar another lie! Then they put me on hold and came back and said Chevrolet is now charging for the app! Another lie. Since this is a OnStar app not a Chevrolet app! Very disappointed in Onstar on this particular situation! After verifying my account, I tried to log in through the app and it wouldn’t let me. Tried multiple time, deleted and reinstalled the app and it still didn’t work. I’ve paired my vehicle added my vin number etc and it won’t give me the “key” option to start my Acadia. I don’t understand why it won’t work. If anyone knows anything I’d appreciate it! I’d give more stars if the thing actually worked! I have had problems with this app since day 1. Every time I try to use the key fob it gives a 400_4 code. I’m about ready to just cancel my OnStar. Won't update/load last compatible version. Wasting my time. Just need the basic features. Not buy a new device to use the app. Poor. I got the app about 13 months ago when I bought a new Chevy for my wife and a used Chevy for myself. I got the free trial of on star and let it expire as I did not want to pay ridiculous prices for it. After the trial period ran out I was still able to start both vehicles with my phone. 12 months later my Chevy got traded in because of service issues. Got a new Chevy and the trial period of on star. I could start both vehicles with my phone. Now my trial period ended and I can still start wife’s car but not mine. On star wants $14.99 a month. Salesman told me that I would always be able to start truck with my phone. This is ridiculous I can start one vehicle but not the other. I will tell as many people as I can about on star being a bad setup. Needs infograph face complication update. We were told after our free trial of On Star this app would still allow us to use the general key fob functions. Literally a day or two after OnStar expired this hasn’t worked. Huge disappointment. Downloaded the app a million times and it still won’t work. None of the key fob options work with our brand new Malibu. This MyChevrolet app and the identical Onstar app don’t show the correct information as I see on my Driver’s Display. Refreshing doesn’t help. Tire pressure and MPG are never the same as the display. Decent concept. But - several things that are not so good. The app doesn't keep data up-to-date (most recent trip, mileage, fuel level, tire pressure, etc. ) And some even less thrilling : having to enter a PIN to see map history each time, is far more annoying than the level of pseudo-security that it portends to represent. And the worst of the app, (although I cannot say this is the app itself, or the data collection algorithms external to the app) is the laughable "driving score"... Since when is pulling out of my driveway considered 'heavy acceleration' ? Or, coming to a complete stop from 5mph considered 'heavy braking' ? I drive the same route back/forth to work, in pretty much the same manner, yet the 'driving scores' seem to vary wildly and arbitrarily. Since you kindly (?) offer to share driving scores with auto insurance companies, the driving scores need to represent 'real-world' driving, not some granny on a closed track. When it works, it’s great...but it’s very buggy. I have to uninstall and reinstall to get the key fob features to work right. Crazy expensive for the services. You buy a new vehicle and they want you to pay for services monthly. Most of the services are worthless. Already have unlimited data on my phone, navigation comes for my phone using CarPlay. Only thing of any value would be the remote start, but not worth $15 per month. What Chevrolet doesn’t tell you is the app cost 15 dollars a month to use it. This is a functional app, it does just what it has to. The only down side to me is that it’s slow and not easy to start the vehicle as you’re walking to it. It can take up to a min for the signal to reach the car and have it respond. I also with it worked with Siri “hey Siri start the truck” would be a cool feature. All in all it’s good has rarely errored on me and is pretty reliable. Just need to think ahead if you want to start it. Updated this app, now it doesn’t even load. Not the first time this has happened with this app either. I wish I could give it 0 stars. When the value of a vehicle is more and more tied to its software instead of its mechanics, Chevrolet drops the ball on their app. Unexpected queues to sign back in and slow functionality of the keyfob hamper reliability and ease of use. Further, now there are advertisements... I spend $60,000 on a new vehicle and I get an Olive Garden advertisement before unlocking my truck? There is nothing of value in the app without OnStar. Pretty disappointing compared with my previous car which had far more features and was available as part of vehicle ownership. I’m not saying “free”. It as simply included in the price of the vehicle. According to the app my Bolt actually LOST range (from 98 to 75) while being charged! And at 75 miles range this app claims 80% charged, when normally my full charge is more than double that. Nearly worthless. I like being able to remote start, determine range, and control some options for charging from the app (I have a Bolt EV). The reliability is poor. I regularly have to restart the app or mess with Bluetooth to get it working. It lacks the ability to adjust remote start cabin temperature settings and seat/steering wheel warming. These would be very nice. This app is so slow and is not efficient when trying to access valuable information in a timely manner. It looks nice from the outside, but needs the quickness and efficiency to go along with it. GM/o star needs to lower the cost!!! I had a 2015 Silverado 1500 LTZ and even once the trial onstar ended I could still check my vehicles location, lock, unlock and remote start my car. I recently upgraded to a 2018 2500hd LT and assumed it was the same, I didn’t find out until the free month ran out that the lowest package ( which allows the features I listed above m) is 14.99. The full security and safety package is over 30 bucks a month. Oh and I have a Brand new 2018 Yukon and guess what the multicar discount? Zip, that’s right no discount no matter how many cars on the account... I already had to settle on some of my feature because the cost is high, but now to get another 15 dollars for a feature that was free!!! No thank you. Toyota’s entune is free!!!! Very disappointed GM!!! This app was great for 1 thing: remote key fob. Now they want to try and nickel and dime us and charge $14.99 for a FREE service. They charge enough for the car, so they really need to milk more money from me? Well they won’t. This is a disgrace to Chevy and GM and the brand should be embarrassed that they are trying to pull this. Might as well delete this app...and make my next car not a GM. Crashes often or bugs out and freezes when trying to open menus. But it does work well enough to start my car. Recent update description sounded like it addressed some of my feature asks but when I use it with CarPlay I get an error when I try to use energy tab. The error states “Vehicle Data is Unavailable. This feature requires access to your vehicle data, but it is currently unavoidable (3003)” Hopes of the app being useful in the car dashed again. I really only used the app to start my equinox. I don’t need internet to drive so won’t purchase any plan. Not paying $14.95 to start my car. I used the app vs the fob as it has a longer range. Didn’t have any issue with my older car using the app. Only til I got my new one. Never came up and asked me to upgrade as this does now. Well after being promised this app would and did unlock my doors from my iPhone a new update came along. Only thing-the update is not compatible with my iPhone 5c and is no longer a useable feature unless I get a new cellphone! Not happening! Between Chevrolet and OnStar they need to come up with a fix! NOT HAPPY!!!!! I paid for OnStar service and it was fine for 8 months. Then last April I had problems with the app. Not getting any help and people at OnStar hang up on you. They keep transferring me. They don't and won't tell me what the error codes are that show up in the app. From April to Aug I paid $35 a month and no one helped and I got tired of the calls with no help. I got the service again with hopes that this app would work. It did for a day and going on for a few weeks and still nothing. OnStar also says it's the app. My car is fine and serviced. It's a great app while it worked. At first I thought this was some sort of a gimmick from GM to force you into some extra paid contract or require an OnStar subscription. But NO!! I really works as a stand-alone app with your vehicle. I frequently use this to remote start to either cool off, or warm up the interior. Also I really appreciate the ability to update the location of my car when I park in a large venue or a different town and would like to take a different way back to my car. The location updates Maps on iOS and you are all set. I’ve perused several of the reviews regarding this app and agree with the majority of commenters. I also was unaware that I needed to purchase the “On Star” packaging in order to receive full functionality within this app. In addition the customer service and ability to problem solve is LIMITED and CONFUSING! I called to report issues with the Daily Driving Activity feature. This is a great way to discuss safe driving habits with my daughter who is a new driver. We review the statistics daily and discuss how she maintain a score of 75 or better. I was forced to use this feature as an accountability measure because I was not aware the teen driving feature is not available in 2018 Chevrolet Malibu base models................this also was disappointing. Nevertheless, I called to report the app was not picking up driving data as of 48 hours ago. After being transferred to 7 different operators in several different departments who all asked me the same questions over and over I am now frustrated and rethinking my customer loyalty to Chevrolet. Did I log out and log back in? Did I uninstall and reinstall? Did I sign up for the account by email?? All questions I answered several times only to reach the last person who told me another department would need to handle the matter and they will contact me within 5-9 days! This is simply unacceptable and a ridiculous solution to a problem that was not an issue just 48 hours ago. Why have the feature if there are not quick and attainable solutions for people who utilize the app??? Why offer these items if there is not troubleshooting to the matter as an immediate option? Why do I pay a fee for onstar in the first place? Very very very unhappy with Chevrolet for the first time in almost 20 years. As a native Detroiter, I can no longer support this company after the way this matter was handled. Detroiters are normally loyal to the Big 3 companies, but GM just lost a faithful customer. Used to be a great useful app. Now with the addition of Ads, every time you open the app, you have to close an ad to get the rest of the app to function. App starts out ok and the fails miserably. App worked for about 2 years and then stopped syncing to my car. I tried all the troubleshooting steps and still nothing. I reached out to the customer service team via their email address provided and after over a month of waiting and sending 3 follow ups I am still waiting for a reply. Good app if you only have the vehicle for a year or two - but after that the app (and the service) fall off. Was working perfectly fine until Monday around 1pm, I clicked the app and nothing, tried unlocking the doors and nothing, remote start nothing. Not even On-Star could explain why. Since the last update I can no longer start my car with the app. That’s the only thing I used it for. App doesn’t work!!! Don’t update your app until this gets fixed. I just updated this app a couple of days ago. Now every time I try to open the app, it doesn’t work at all. I tried to delete the app and download it again but nothing happened. I wish I never updated. Please add functionality for Siri Shortcuts. That would enable so much functionality for this app, and allow it to be integrated with HomeKit scenes. I keep receiving an error message: “Unexpected server response. Please try again. If the issue persists, please contact support for assistance. (705_1)” Thanks. Works great to monitor my Chevy Spark EV, but would like to see a Today Extension widget with charge levels listed and more robust notifications (ie, push notifications to the phone and notifications when the charge reaches a certain level, not just full). Good app though. Thanks! This was a really good app. Both dealer and Chevy information recommended it. The use of it was very helpful. Remote lock and start was nice for going somewhere you didn’t want to lose your keys (for me was carrying them all around the gym or hikes). But the selling point of this app was very misleading. Once you don’t have Onstar you can’t use the app anymore. But you are not informed that you no longer have it. It’s all connected through your phone anyways but in reality it’s just another way for a company to make money through YOUR OWN PHONE. In the end it turns out to be a scam. With the amount these new vehicles are these days you would think a simple app would be for convenience for the customer. But it’s not. It’s asking for a pin and I have no idea what it is or where to find that info. I’ve used the app until my onStar subscription expired. I was then unable to access my vehicle status from the app. However, myvolt.com provides all of my vehicle status for free without onStar. Useless app without onStar. I think a lot of the features of the app could be quite useful, but it’s detracting that I frequently get random errors while trying to use the app. Oddly it doesn’t seem to affect the functionality of the app, but I’m constantly getting error notifications from the app. Also, I am constantly getting tire pressure notifications that are always 2-4psi different than what the car says and what I manually measure them to be. It does not feel like a modern, professional app from a large company. It feels more like an afterthought. Also, this is probably more OnStar than the app itself but the monthly email reports I get give a “gallons of gas saved” (I drive a Volt) which are grossly overstated. The only way I would save that much fuel is if I switched from a Hummer to the Volt. It absolutely does not reflect the gallons of gas I saved by driving EV over driving on gas in the Volt. I love this app, I love that it has watch support, it’s very convenient. I would love Siri shortcuts support and this would be 5 stars! Paying for OnStar and it doesn’t work either! Doesn’t work now after this new update Really, !!! you respond months later !! For that little tid bit !! No On-Star ... Chevy App no longer functions! I also was misinformed... once the On-Star trial ran out, this great app stopped working! What a bunch of crap! 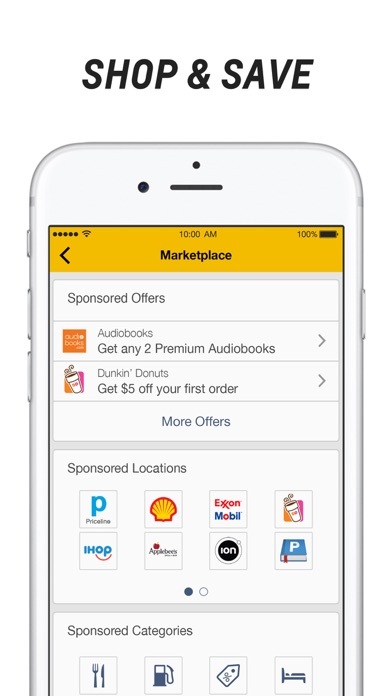 Spend a LOT on a Chevrolet vehicle and the app SHOULD NOT be dependent on an ongoing On-Star subscription! Since the update the key fob functions including remote start and door lock is gone. Why is that? I used this app for a couple of years and this year now that it’s cold, I go to use it and I open it and then it closes right back. Not sure what’s wrong nor how to fix... what a waste!!! Ads in the worst app. This app is far more concerned with upselling than providing user functionality. If you find OnStar ridiculously overpriced, as I do after buying a $50K vehicle, and pass on that service then the app is of marginal value. Even then, you’ll feel like the first priority of the app is to sell you more services or accessories. It’s about GM, not you. We have had this app for over a year and it seems to want to crash every time we open it. I hope a fix is made soon. I had issues with the last update, but this one is way worse. Siri support to precondition would be nice. Also being able to schedule preconditioning to run at a certain time. This app caused me to get back my vehicle after it was stolen and brought to another county. Much more helpful than the police were! Same as above. I was assured that the app was included. Well it is but none of the features I’d like. We spent $50.000 for a nice vehicle, now they want another 15 bucks a month. Very petty. WOW Chevy. If you look at the two Chevy vehicles I own, I have over 120k invested and you won’t allow the app to remote start or unlock for free. I think I paid enough for my new cars to at least keep the app active for the life of my ownership. Very disappointed that they shut down the remote start and unlock portion if you do not pay extra. When we first bought our bolt this app worked great. After the latest update the app no longer works. I have to disconnect and reconnect every time I try to remote start. Since that requires being in the vehicle it defeats the purpose. The app is worthless at the moment. Every time I try and use this app, it either doesn’t open or it open for a few seconds then disappears. It’s very frustrating!!! I recently noticed the key FOB functionality was no longer available on this ap. After reading reviews I’m guessing it’s because onstar has to be continued which is not what we were told when purchasing. We’ve had several vehicles from Chevy that did not lose that functionality. I can’t get this app to open at all. It starts to open then just shuts down. I have always enjoyed using this app to start my 2018 Equinox, but now all so a sudden the app won’t open up. What can I do? Please help! Both the previous OnStar app and the new MyChevrolet app have a truly annoying tendency to lose all the info one has previously entered after updates. We don’t need to use the app daily, but when we do it is often for an important reason, like remote start or unlocking the doors. Go to open the app, and it makes you update before using. Do the update, and all acct info has disappeared. Re-entering the user name/password is bad enough, but today I also had to re-enter the *!&#* VIN! So if I’m in a situation that feels unsafe and want to utilize the app in an emergency, I have to hope that all the login information hasn’t vaporized YET AGAIN. I should not have to add “Make sure the MyChevrolet app is working and I’m still logged in” to my pre-travel list of things to do! This has been on ongoing problem with the old app and now with the new app, despite asking the app to “remember me” with each login. And yes, I had previously switched to the new app and logged in already. An app update should not lose all your login info and preferences. Ever since the last update I can’t use any of the FOB commands and it’s not connecting to my vehicle and pulling the history. I have an iPhone X and I’ve tried logging off and back into the app. I’ve tried deleting and reinstalling the app and I’ve tried rebooting the phone and i still get a can’t connect to vehicle. Good app, has potential to be better. I would love to see Siri shortcuts support! So I can start my car with just a single tap! Taking away the keyless entry and remote start for the new 2019 Silverado‘s is a very big inconvenience especially for winter and other things. Not only that what if there was an emergency or something had been left in your vehicle or maybe even your child lock you out with the keys in there. They’ve given it to you for free all the way up until now and then all of a sudden take it away from you and Then want you to pay $14.99 a month just to have that. What a rip off. Ever since I updated the app it won’t even open. Well it opens, but it only displays a black and unusable screen. And DO NOT tell me to unload and reload the app because that doesn’t do anything. Everyone has tried that, and it does not fix the problem. Either roll back the update, or fix the problem! Loading times are so long, every time I try to go into my rewards, it makes me login and fails. Oddly it says I’m logged in? Fix this mess please. Like many other people on here I was led to believe that I would be able to use the app and most of its functions after my onstar Services ended. But now I’m not even able to open the app. It just shuts down right after I open it. It’s kind of annoying I spent so much money on a new car and it requires a service that is seems like it is just as expensive to help the car work the way it is advertised. App keeps crashing when I try to open it. Using iPhone 8 plus with latest iOS version. I open the app and it asks if I still own the vehicle. “Yes” does not work. “No” wants to start on star deactivation. Can not get past this screen. Someone needs to fix this issue. When I first downloaded the app it was great. Now it will not open. It crashes immediately. Great app overall, love being able to schedule my maintenance from the app. But would love Shortcuts integration. I have reset my password 4 times. Still can’t login. Spent $43K on a car. Glad to know that Chevy and Onstar want an additional monthly subscription to get a door unlock app. As an engineer, I’d rather buy an SDR and hack it myself than help the stupid Chevy failures meet another shortsighted union pension obligation. I will never subscribe for what a fob or SDR can do. Stupid! Hello, would you guys please update your app to be compatible with the info graph watch complications? Love this app and the usability and compatibility with my 2017 Camaro. The one very last thing that would make this a perfect app for me is to add support for Siri Shortcuts! That would literally make this the best. Thank you for the continued support! I have had my Chevy car for 5 yrs. and it is the best investment that I have made thus far!!!! Having OnStar is definitely for me because I have no sense of direction. I am very pleased with the service that they provide to me each and every time. Thanks to all of you guys at Huffines Chevrolet (the dealer that I bought my vehicle and to Jupiter Chevrolet for providing the best service (I have moved to a different location and Jupiter is closer) and to OnStar for all that you guys do to keep me riding safe!!! This app is buggy and onstar is taking coping Comcast and always trying to trick you into services you don’t need. I tried to get my app setup for my new vehicle and it’s suddenly $20 for the app services. It’s been free since 2014 on my other volt! It’s funny, one of the reasons I went with a volt over a cmax is because of the mobile app/Alexa integration but now i can’t even get my old car off my app let alone the new one to work for $20 a month. I can’t wait to see this company fail again. App shuts down every time I open it when I use to use it a year ago I worked perfect. I absolutely love this app! Being a frequent traveler I continually use it to download directions to my truck for navigation and on cold days to start it as I leave my office to get in it. Fantastic! The dealer assured me this app would work once my Onstar trial was up, even used it as a selling point. I also asked Onstar about this when I set it up, they said the app would remain working after my trial. Turns out it is just a ploy for Onstar to make more money. False advertising. Doesn’t always refresh. Had to delete and reinstall as it got in a loop with the Precondition button. Have to be very close to use Bluetooth. This app is very helpful! I love that I can lock and unlock my car with this app! I love the keyfob feature!! This remote start use to work 95% of the time. Now it works only about 40-50% of the time. It’s very inconsistent and you never know if the remote start will work. The Apple Watch app is worse. Come on developers, fix the reliability. If I made wrong decisions less than 80% of the time, I would be out of a job. I just purchased a 2018 Chevy Silverado, Z71. This truck has some upgrades, but nothing fancy. ( heated seats, Bose sound system, power driver seat, and leather) This truck has more power than the Avalanche I traded, but is slightly better, about one mile per gallon better, than the Avalanche. I run my vehicles hard, which makes for poor gas mileage. The price on the 2018 Silverado was too good to pass up. Nice ap. Easy. Has face recognition now. Great to control key fab via phone in the super cold MAINE winters. Would be great if I could turn on the heated seats remotely! I’ve owned several trucks and they have always been full size. I am really enjoying this only slightly smaller version in that it has more power and maneuverability. I do wish it had a power slide rear window and heated mirrors like my old trucks, but I Love this truck. I’ve been using the onstar app for 5 years with no problems at all. Now they are making everyone start using the my Chevrolet app and it is horrible. I am always having a failed to start or lock and unlock my vehicle. It is very frustrating, and the app responds much slower then the old onstar app. Hate the new app and hope they get it fixed soon. The app opens, that’s about it, none of the other stuff opens; I always get an error message that says they can’t retrieve my account info, and I’ve been an OnStar customer for years. Whenever it decides to work, I’ll be able to give it a better rating. The take control is no longer a feature also the navigation feature from the app to the car was removed. The app at this point to me is useless. After finding out the onstar app was being discontinued i figured the Chevrolet app would work just fine. It doesn’t work at all. I’ve deleted the app and downloaded it again a hand fully of times and it has yet to work. Every time I open the app about 10 seconds later the app closes out. Ever since you updated the app it takes forever and sometimes won’t even find the vehicle location. Before it was quick and had no issues! Please fix this!!! The system needs an update so that it operates faster. The Onstar app that they are discontinued worked all the time. Really, GM? You’re going to sell us out by adding ads in the app now? After we spent tens of thousands of dollars buying a new car from you? I know for a fact you’re selling and using our data. Apparently that’s not enough, you also need to monetize the app by clogging up the UI with spammy Office Depot ads. So disappointed in you guys. I downloaded this app because the OnStar app I’ve been using has a notice that it will soon be discontinued. I was directed to download this app onto my iPhone but I can’t even get it to open. I just keep getting forced back to my home screen. Please fix this. Love the my Chevy app. It’s great for warming up my car with the remote start ap. This is the worst application in terms of being user friendly. I downloaded it in place of the Onstar app due to “warnings” on my phone that I needed this app instead. The app regularly logs me out, then doesn’t recognize my password, and once finally accessed, usually “can’t retrieve account info”. Horrible, horrible app. This is the greatest thing ever Just love it !!! Back to an American car for the first time in 20 years and up to now I’m very pleased. Locked me out of the car. Don’t trust it. App does work but often says something like “Service not currently available” when it is available. This doesn’t last for long but can be annoying if you’re trying to unlock your vehicle while standing in the rain. Sure would be great if the windows could also be controlled via the app. Imagine a sudden thunder storm on a hot day and you can see your car out the office window. Or imagine leaving a child in the vehicle because the stop was only going to be a couple of minutes but then life happens. I think it works great. But they are canceling my basic plan. Not sure why...I don’t need all the other functions. I just use it to unlock my doors and start my car remotely. Chevy pushes ads, the app randomly closes 50% of the time, and some times it just won’t do its job. If Chevy would stop trying to monetize something that was included with the price of my vehicle and focused on making reliable vehicles with features (like this app) that actually work...maybe they wouldn’t be heading for bankruptcy...again. Best App Ever I Can Lock Unlock My Car From Anywhere. It Sends Me Alerts When Something Is Wrong! Switched to this app due to OnStar app being phased out. Only thing I have used so far is the key fob functions - which is much slower than on the OnStar app. Its not the execution delay thats slower - but the acknowledgement that you have given a command that is super slow. I have a brand new $50,000 vehicle and an app that can’t even tell me the last time I drove it. It won’t refresh, constantly says its experienced an error, and never gives me all my trip nor will it give me the most recent. It’s a waste of time and money. I’m so disappointed. I was thrilled to hear about the app and now I’ve realized it’s an absolute joke. I still love my Traverse but it would be nice to have an app to go with it. There is so much inconsistency in whether this app is going to work or not. I thought Chevrolet had finally moved into the current times where I didn’t have to have my keys in my pocket to remote start and open my truck. I will never understand why they have so much trouble having technology that works! Sounded great, the presentation was awesome. The reviews on here all made it sound like it was the bees knees... but then it wasn’t. I just got a second hand 2016 Chevy Volt, wonderful car regardless of the futility of getting the app working let alone finding out that Chevy/OnStar decided to change their terms and conditions apparently as of November to no longer include the “3 years on us” basic services... but wait, the app was updated in December and maybe the developers weren’t informed because when you select the “get connected” button, it presents you with the promotion for the “3 years on us”!! It even tells you some of the key features, like controlling your range extended electric vehicle’s charging features!! Even my previous 2016 VW e-Golf included that for 3 years because someone thought that knowing your charge state without having to walk to your car was important! So, yes, in order to use any part of this app or any feature aside from the diagnostic reports and electronic manual, you actually have to sign up and pay their outlandish rates. At least there’s no contracts! That’s a plus! Not all it is cracked up to be and one of the most expensive apps I have found. Locks down basic use and data that unless you buy an onstar package with outrageous charges makes app virtually useless. Basically leaves you with nothing but lock or unlock capabilities. Sorry you can make an appointment with a gm dealer to have your vehicle serviced. You would think spending 30 plus thousand dollars you would get more than spend an on there 2 thousand dollars a year and we will be nice and let you use all of our app. Having to enter the PIN number is annoying. I can understand doing initially, but every time I wanna start the truck. Unable to add key fob to my new truck. Always get error message. We like the remote start feature, but it seems slow in comparison with others we have owned. The suburban itself by far the best vehicle I ever own . I have the suburban Premier And this app does everything for you tells your Oil life down to tire pressure open door locks and start your truck from a long distance. I never write reviews but this one is So VERY aggravating. I always used the Onstar app to start my car in the winter. It NEVER failed. I have had this mychevy app for less than 3 weeks and it has failed numerous times. I have had to logout, turn my phone off and reset it several times. Still nothing. Please fix ASAP. If Chevy can’t run a simple app what does that tell us about the technology in the cars we drive. Just got a new volt and you now have to pay $15/mo to use remote start feature. What a RIP OFF! I’m not a big fan of all the technology out there but this app is awesome. Access to the key fob and being able to check vehicle stats is great. I was very excited to see this app for my watch. Being able to start my Chevy without having my remote or phone to do so. That app works 1 out of 4 times usually. Very disappointed. Would give a 5 star, but the does don’t show the location of my vehicle, only the road.Some roads are miles long. So it needs to give more specific locations! I love the remote access it just makes operating your car from a remote area so easy.